1.3.01 A few minor visual changes and corrections. Adding Texture Replacer to recomended mod. Adding new parts: Orion MPCV Capsule, Orion Parachute Cap, Orion Parachute Pack. Rebuilt 1B crew adapter. Adding all parts in stock dimension. 1.0.5.10 Adding new parts: DarkKnight Booster, AJ1E6 booster, ORION Decoupler, Remodelling Main Core, Remodelling Pyrios Booster, Remodelling ORION Service Module, Remodelling all Engines, Remodelling EUS & ICPS, Adding new animated parts, Better textured all parts. Adding early RO config, Adding Craft Files. 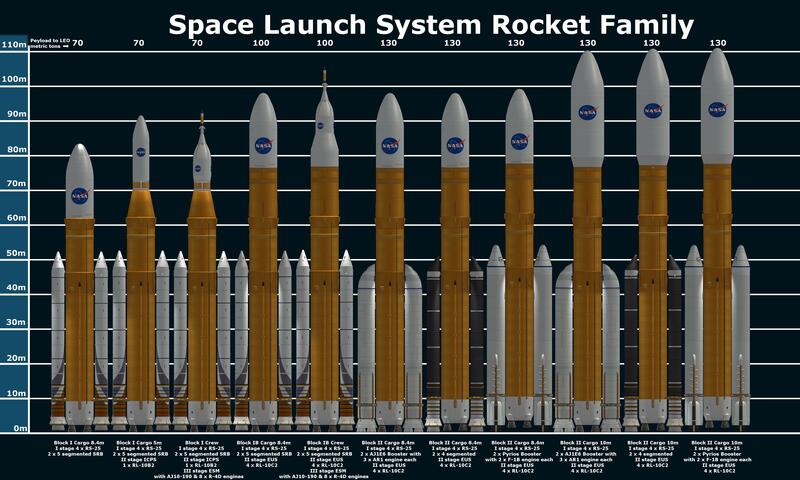 Thanks for downloading Space Launch System Part Pack!